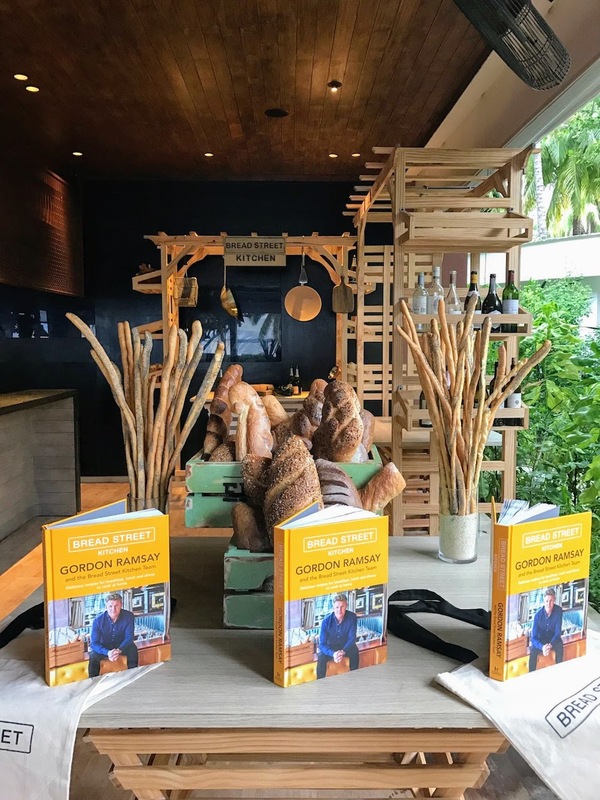 Amilla Fushi welcomed The Bread Street Kitchen by Gordon Ramsay team from the 1st – 10th of May for a special pop up at Barolo Grill Italian Kitchen. 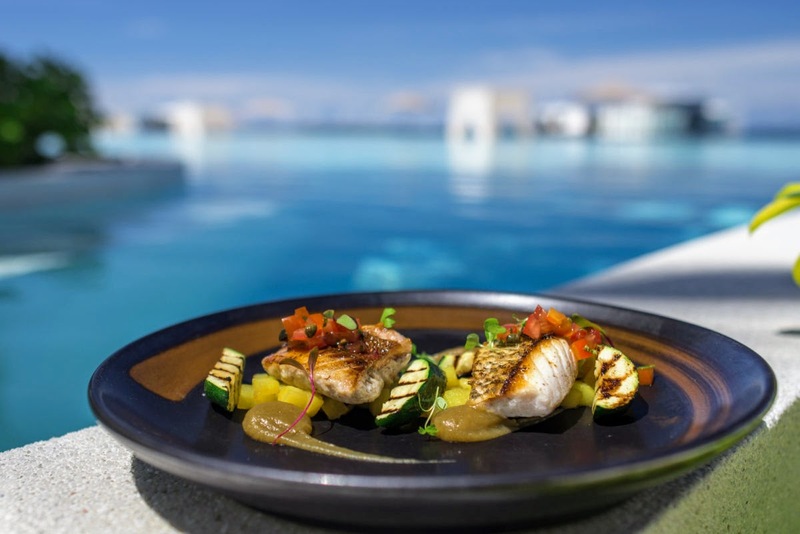 As part of Amilla Fushi’s always exciting and ever evolving food and beverage offerings, a visiting chef’s programme was created that allowed to bring in internationally renowned culinary talents as well as world famous brands to enhance Amilla Fushi guests island experiences. 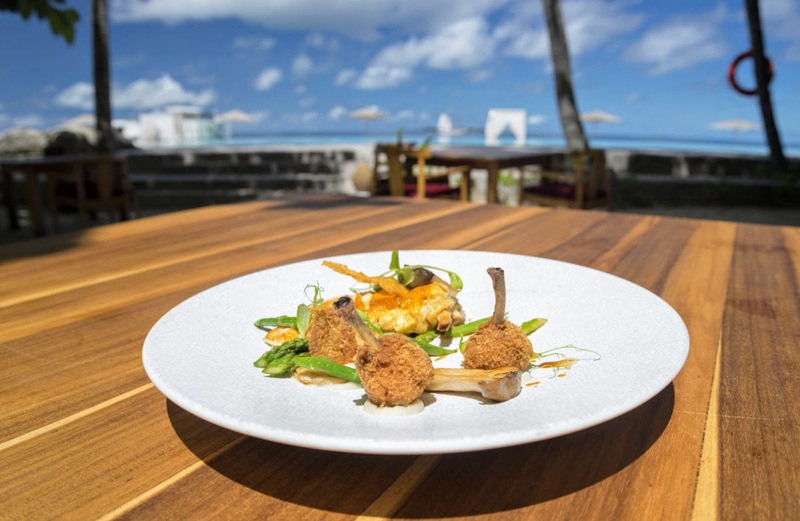 Each day the team prepared a special BSK dish of the day, with special dishes including Maldivian Lobster Raviolo with bisque and tarragon veloute and French corn-fed chicken breast, lemon crumbled lollipops, asparagus and king oyster mushrooms. Bread Street Kitchen is the ideal venue for you if you are looking for a catch-up with friends or just craving some family time – a lively hangout that uses fresh, seasonal ingredients and delivers globally-inspired menus to the high standard you’d expect from a Gordon Ramsay restaurant. Bread Street Kitchen is a casual, all-day dining concept from Gordon Ramsay Restaurants that originated in the vibrant One New Change in St Paul’s, London. From after work drinks with friends and colleagues or an intimate date night, to weekend family brunches, complete with Sunday roast and entertainment for the whole family, Bread Street Kitchen is the perfect venue whatever the occasion. As a destination restaurant that mixes eclectic vintage with New York loft style design, creating a distinct vibe that enables it to transition from business breakfasts through to a lively late night hangout. With a globally inspired menu, delivered with the best local produce, Bread Street Kitchen has expanded from its initial offering in London to include restaurants in Singapore, Hong Kong and Dubai with the residency at Amilla Fushi being the first international pop-up venture. The Bread Street Kitchen team will be back again at Barolo Grill Italian Kitchen in October from the 16th – 27th. The Gordon Ramsay Group comprises of the restaurant business of acclaimed chef, restaurateur, TV personality and author Gordon Ramsay. It employs more than 700 people in London where it has a collection of 14 restaurants. The Group has a total of 31 restaurants globally and 7 Michelin stars, with international restaurants from Europe to the US and the Middle East. Restaurant Gordon Ramsay in Chelsea is the Group’s flagship venue, which has held three Michelin-stars for 15 years.